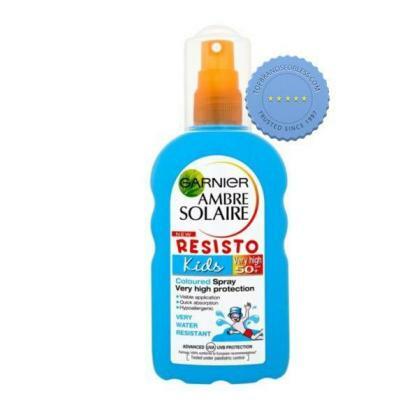 Shield your children from the harmful rays of the sun using advanced UVA and UVB filters with Garnier Ambre Solaire Resisto Kids SPF50 Water Resistant Sunblock Spray 200ml. It is a specially formulated sunscreen that uses Mexoplex photostable filtration for effective protection. It also contains cactus nutriflavones and vitamin E to help maintain the skin's natural moisture levels. It contains the following: Aqua / Water C12-15 Alkyl Benzoate Glycerin Ethylhexyl Salicylate Alcohol Denat. 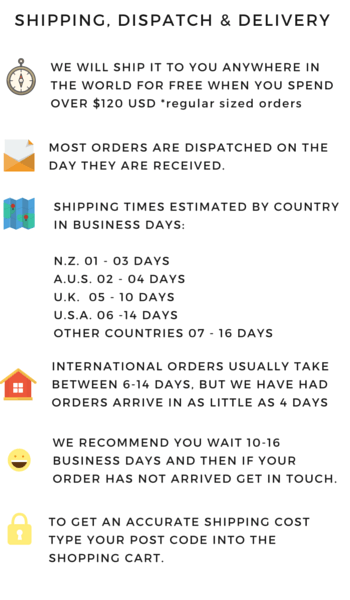 Propylene Glycol Styrene / Acrylates Copolymer Bis-Ethylhexyloxyphenol Methoxyphenyl Triazine Drometrizole Trisiloxane Homosalate Butyl Methoxydibenzoylmethane Ethylhexyl Triazone Polyester-5 Parfum / Fragrance Tocopherol PEG-8 Laurate Ethylenediamine / Stearyl Dimer Dilinoleate Copolymer Triethanolamine Caprylyl Glycol Acrylates Copolymer Terephthalylidne Dicamphor Sulfonic Acid Disodium EDTA. Apply carefully on the skin just before sun exposure. Re-apply frequently and generously to maintain protection, especially after swimming, perspiring, playing in the sand or after towel-drying. Avoid using near the eyes to prevent irritation.